The Philadelphia Museum of Art ranks among the largest and most important art museums in the United States. Home to more than 225,000 objects, it reflects more than 2,000 years of human achievement in Asia, Europe, Latin America and the United States. 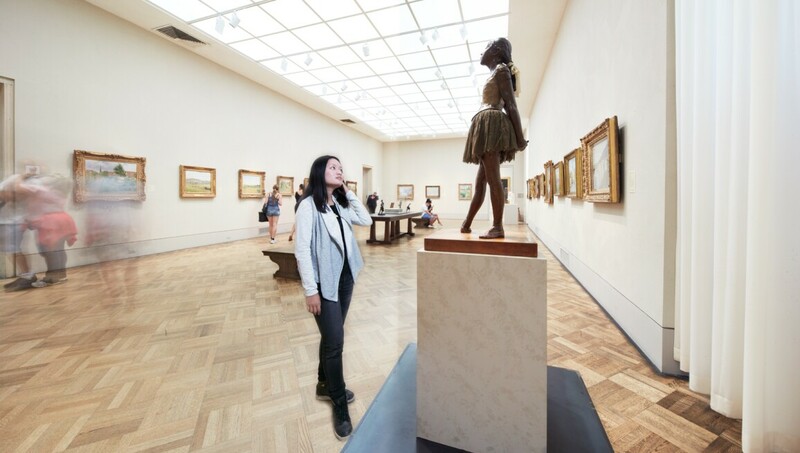 The museum’s many treasures include Impressionist masterworks, a Japanese teahouse, an Indian temple hall, a gallery devoted to Philadelphia’s own Thomas Eakins and historic rooms from structures in Paris, London, Beijing and beyond. But for many, what makes this museum so exciting are two of the greatest of Marcel Duchamp’s materpieces: The Bride Stripped Bare by Her Bachelors and Étant donnés.